Carolyn Ellman, cellist, has a great variety of musical experience including symphony, opera, chamber music, television and theater. 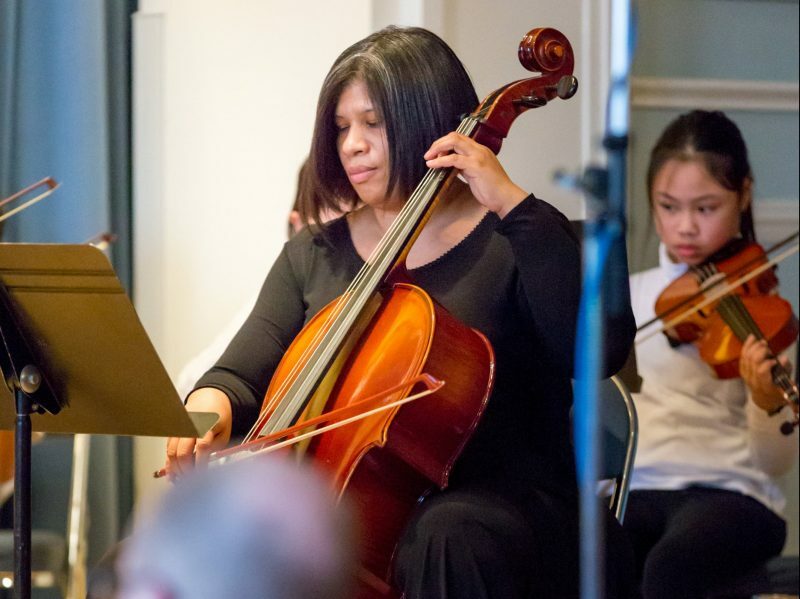 She has provided solo cello incidental music for local productions of Shakespeare’s “The Tempest” and Arthur Miller’s “Broken Glass” and has presented many recitals with pianist (and fellow Settlement Music School faculty member) David Shunskis. During the four years she was cellist with the Serafin String Quartet, the quartet made its debut with a concert in Weill Hall at Carnegie Hall, playing there the following season as well and featuring works by local composers on both programs. While living in France and Switzerland, she performed in master classes offered by Gregor Piatagorsky and Maurice Gendron. While performing in Geneva, Neuchâtel and Lausanne she had the opportunity to play Jean-Jacques Rousseau’s opera “Le Devin du Village”. Here in the Philadelphia area, she is a long-time member of the Delaware Symphony and has played in many other local groups. At Boston University she earned her Bachelor of Music degree studying with Leslie Parnas. Chamber music coaches included Eugene Lehner at B.U. and also Raphael Bronstein and Michael Tree at Kneisel Hall. Other special programs in which she participated included the Congress of Strings, the Music Academy of the West and the Institute for Advanced Musical Studies. Of all her many pursuits, Carolyn is particularly proud of her more than twenty-five year association with the Settlement Music School!